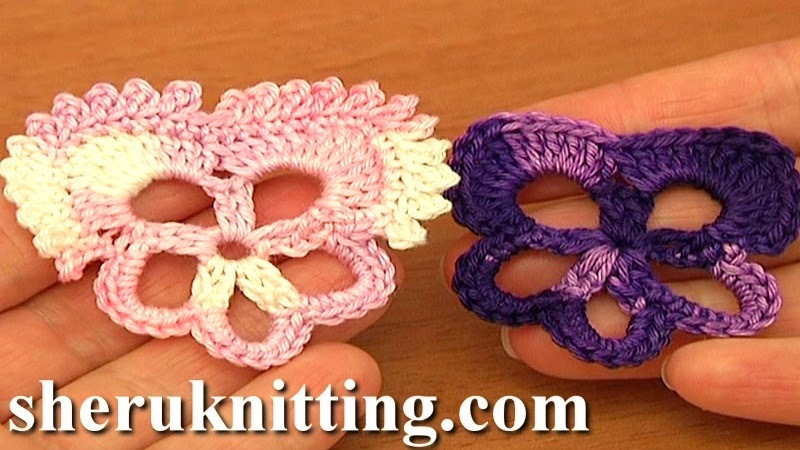 Crochet pansy pattern, super easy to crochet flat pansy flower, free pansy flower patterns, detailed video tutorial on how to crochet beautiful pansy flower pattern. To make a beautiful pansies you just need to complete 2 rounds of stitches. This 5 petal pansy flower has 2 large petals and 3 small ones. If you wish you can work and extra row of single crochet and picot trim over 2 large petals to give a completely different look to your flower. Stitches are used for this flower: slip stitch, chain stitch, single crochet, double crochet, treble coronet and 3-chain picot. If you know all of these stitches you should try to make this pansy flower! Happy crocheting!